Plug Leaf into you PC > Hold "MFB" for 3s to set it into "Pairing Mode", The LED will show White/ Original alternately. 3. Keep them close together and wait. Once connected, you'll hear "connected". 4. 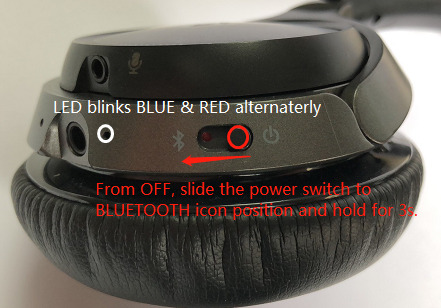 For Music Stream - Set your USB Bluetooth Transmitter as the default device on you PC. Right-click the speaker icon in the right bottom corner of the task bar right‐and select “Playback devices”. Set the “Avantree Leaf” as the “Default Device”. software (eg. : Skype) to use the “Avantree Leaf” by default.